Ice wine, Port and other libations for your sweet tooth. Whether it was a square of chocolate, a bite of a pastry or a spoonful of ice cream, a meal was not complete for my mom until she gave in to her sweet tooth. My father preferred his glucose in liquid form—liters of soda. Either way, growing up, I had access to virtual mounds of sugar. I have little to no doubt that this has manifested itself into my penchant for Port, ice wine and other sweet libations. The main component necessary for the production of wine starts with the natural sugars found in grapes. 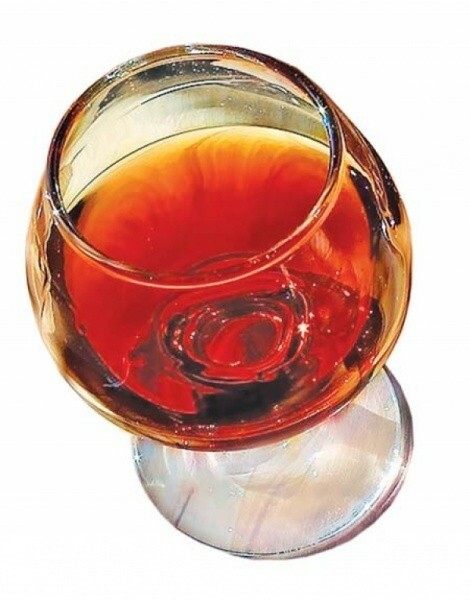 Isolating this component during the cultivation or production of wine will yield what is referred to as “stickies” and “the nectar of the gods”: Port and Ice Wine, respectively. Regardless of the style or country of origin, these wines are dense and highly aromatic, and a few ounces are a fine option for dessert in a glass. The basic formula for turning grape juice into wine is simple. After grapes are crushed, they come into contact with yeast cells that convert sugars into alcohol and bubbles. Those bubbles are what gives Champagne its sparkle, but that’s a whole other story. During the fermentation of Port, the addition of a neutral spirit—think flavorless brandy—is added. This boosts alcohol levels to about 18-20 percent, and leaves unfermented natural grape sugars in the finished wine. This method was employed during the 18th century after many barrels destined for England from northern Portugal arrived badly spoiled or oxidized. Following this fix, the Brits got their wine and the world was given an array of differentstyled Ports—from the fiery, young and fruity Ruby to the classy, polished and nutty aged Tawny. Wine has an alarming amount of water; they say it’s about 80 percent. The remainder is composed of acids, esters, proteins, minerals and sugars, among other things. As any fruit ripens, sugar content naturally increases as acid levels drop. Try a darker, ripe raspberry next to an under-ripe pink raspberry and notice how tart the under-ripe pink berry is compared to the sweeter, darker berry. Late harvest wines are just that: wine made from grapes left on the vine long enough until sugars soar and acids plummet. 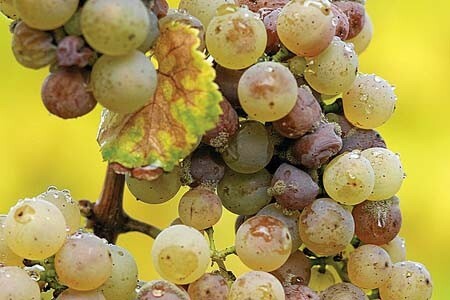 A more enticing and balanced late-harvest version occurs when a vineyard is graced with a fungus euphemistically referred to as noble rot. This occurs in regions with higher humidity such as the maritime vineyards of Sauternes, France. The fungus pierces the grape skins while attaching itself, which allows for the natural evaporation of water, thus concentrating the sugars and acids. The finished wines are less cloyingly sweet due to the higher ratio of acidity—exactly what lemons do for sweet tea. These wines have flavors reminiscent of honeyed peaches and apricots, layered on a rich, dense palate with accents of spice. In colder climates such as Canada’s, the likelihood of frost and below-freezing temperatures following harvest allow for the production of ice wine. A very similar tale of concentration is played out in these frigid vineyards. When the grapes form a solid core of ice, vineyard workers painstakingly begin harvesting, assisted by floodlights and headlamps in the middle of the night. The grapes are transported quickly and pressed ASAP. The frozen ice crystals are left in the press and the concentrated grape sugars and acids are made into a syrupy, tropical, poignant dessert wine appropriately referred to as the nectar of the gods. With the amount of concentration and depth of flavors put forth by these sweeter wines, they’re certainly worth a sip or two—especially when the nagging of your sweet tooth is as audible as mine.